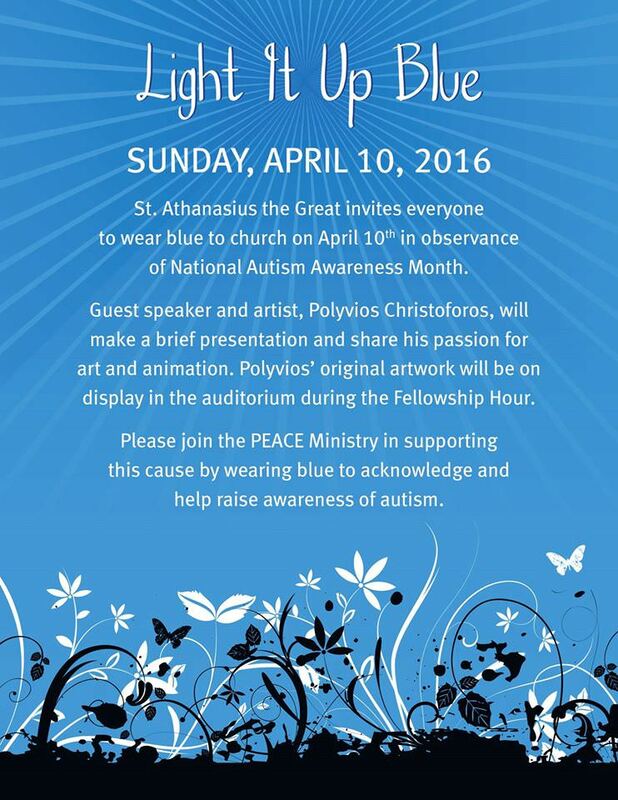 St. Athanasius the Great invites everyone to wear blue to church on Sunday, April 10th, 2016 in observance of National Autism Awareness Month. Guest speaker and artist, Polyvios Christoforos, will make a brief presentation and share his passion for art and animation. Polyvios’ original artwork will be on display in the auditorium during the Fellowship Hour. Please join the PEACE Ministry in supporting this cause by wearing blue to acknowledge and help raise awareness of autism.